Belmont alumna Sally Robertson was recently featured in The Wilson Post for her green lifestyle and love of biking. Robertson is currently a librarian at Tennessee State Community College, and she bikes to and from her home in Mt. Juliet everyday. 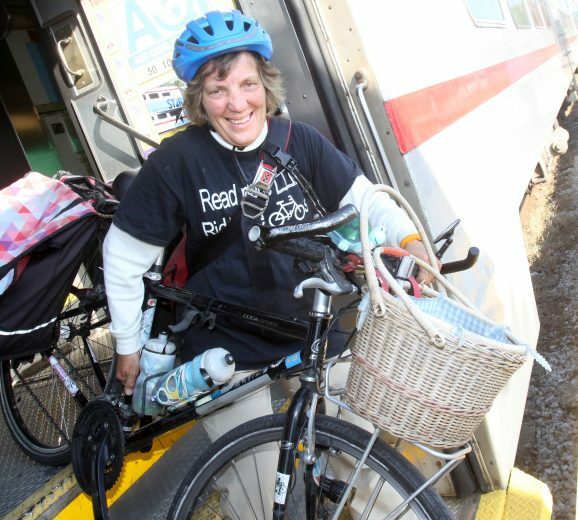 She has pedaled an average of 6,000 miles every year for thirty years. She says she does it to be sustainable. “I want my carbon footprint to be light,” she said. “We have to be responsible for our environment.” Robertson graduation from Belmont in 1978, where she studied history and library science.